So there are three women in my life that are the best friends anyone person could ask for. Two I have met in the past nine years and the other one I met through my Mom’s best friend Sandy. Sandy has been around most of my life, and her daughter Steff is the sister I have never had. Our Mom’s are close and so are Steff and I. This is one of my “bestest” girlfriend’s Steff and myself. After Christmas this year Steff and her better half Ken came down to visit me in NYC. 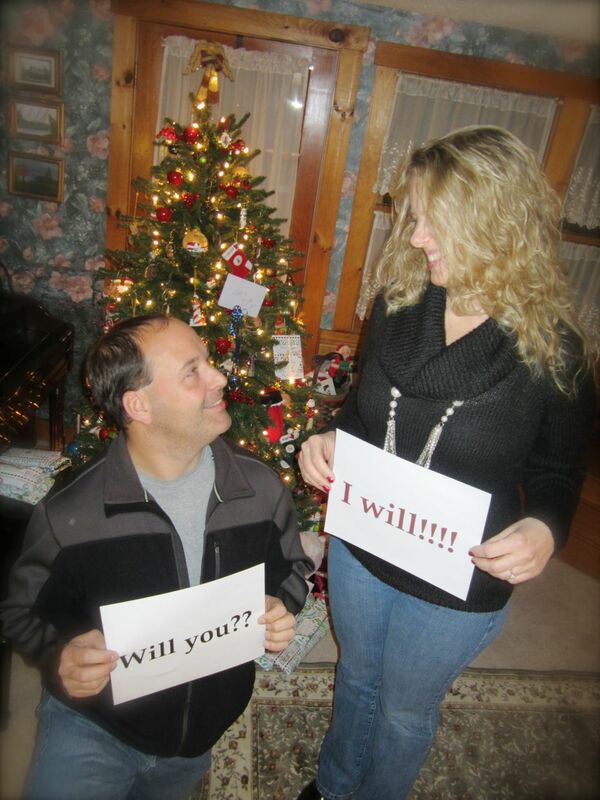 Ken had proposed to Steff right before Christmas, of course she said yes! (She better! Ken is a wonderful person!!!) She handed me a present to open after our 6-hour car ride. It said “Laugh with me, dance with me, cry with me, plan with me. Will you be my maid of honor?”. I was so touched!!! Of course I said yes! So now here is the tricky part. They wanted a wedding this summer. Now because I work in this industry, I know how difficult this can be. We are 8 months out and it could be tricky finding a date and a venue that would work. The picture on the right is Steff signing on to Facebook and letting her friends and family know that she was engaged. We know their wedding budget and now my skills will be put to the test. I crunched the numbers with them and we knew how much we could allocate for each part of the celebration. Not only did they find their venue and church by the second week in January, they were able to book the hotel for the reception at a 20% discount because they booked early! Make sure you have a budget and stick to it! 1. 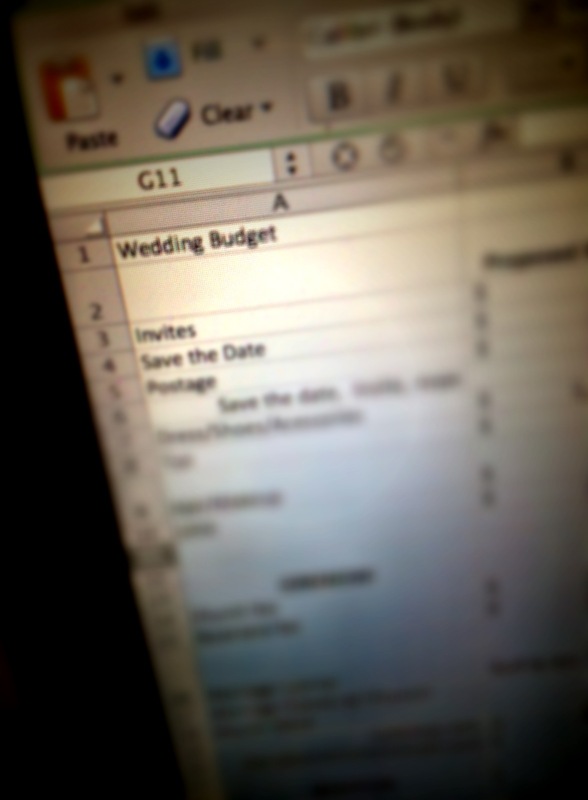 Follow the budget and have your client understand this to set the expectations of the day. 2. Not to say “No” right away. Research to see if there are other options. If no alternatives exist, be inspired by the original idea and see what else is out there. 3. Discuss with your couple what the most important aspect of their day is. All other details will fall into place around that. 4. I wouldn’t let Steff & Ken allocate their budgeted monies right away. We kept some off to the side, I like to call this the “Oh sh*t fund”. This has been giving us the wiggle room to move numbers around and still stay under budget. 5. The most important part as planner and friend, that this is a celebration of love and I am here to to keep all parties on task in a happy manor. I have given the Mom’s and the bride their tasks and the things that need to be communicated between all parties. There are no need for arguments if issues are presented fairly and both sides are heard out. There is always a solution, sometimes it just takes a little more work at finding the answer. We have stuck to this rule and everyone is having a great time in this process. While we know we have a lot of work ahead, we are excited to see the outcome. 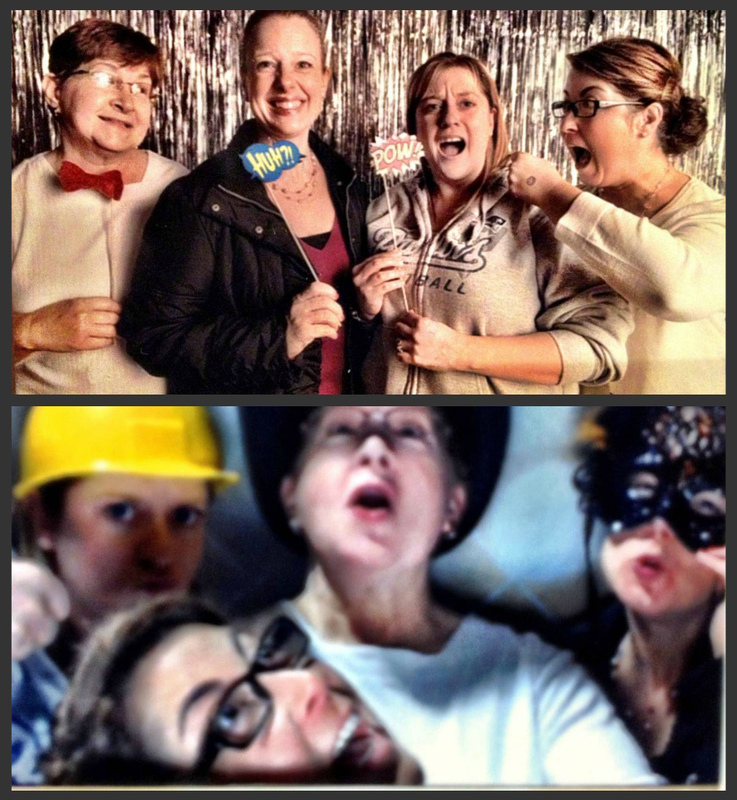 A little photo booth fun with my two friends Steff and Megan (Sandy and myself are also in this crazy photo) that are getting married this year. I love the smile booth! Rebecca, your friend is so lucky to have you helping in her wedding. We have been following your blog and it was your blog which inspired us to creat a cake shop call Sweet Tales Cake Boutique. We will love to make your friend’s cake for free in your honor or perhaps her shower cake. I believe your hometown is NH and our little cake studio is located in Dracut, Mass. Let us know, our face book address is Sweet Tales Cake Boutique. Rebecca, As Ken’s Mom, I want to thank you for all you are doing to help plan this wonderful event. I am getting the daughter I never had and all I want is for them to be happy and have a wonderful and memorable day. I do truly love them both. Thank you again for being their friend. ← Bloopers, laughter and Ron…oh my!